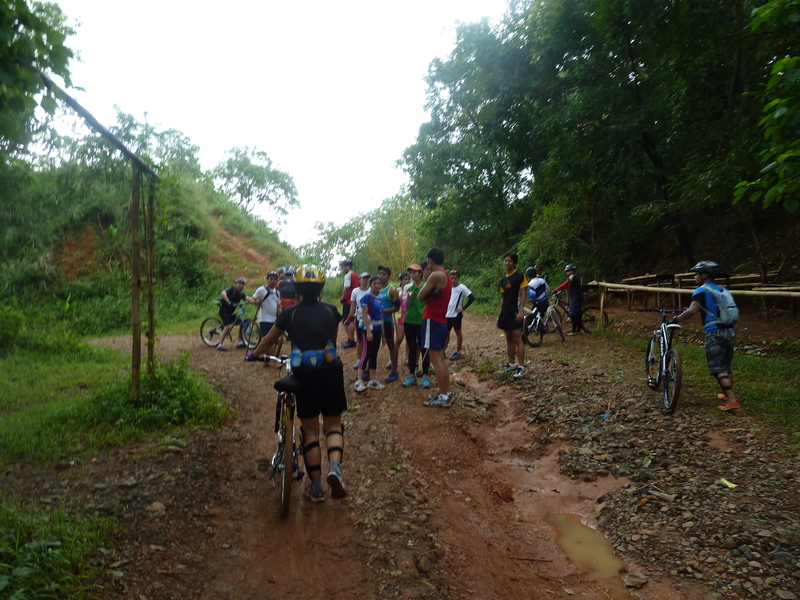 Yesterday, I had my first taste of trail biking and I can’t say that I loved it. 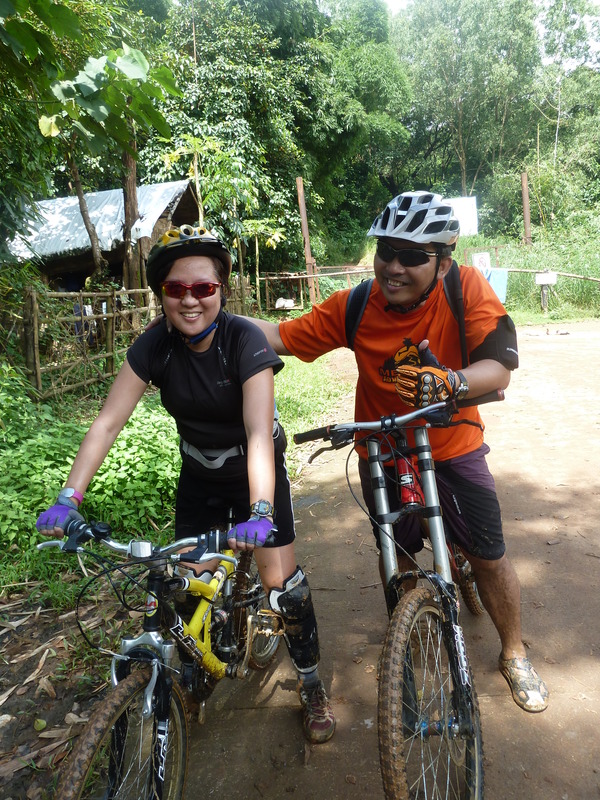 Would you love three hours of biking in Timberland Heights‘ muddy, rocky, slippery trail that went up and down forever? 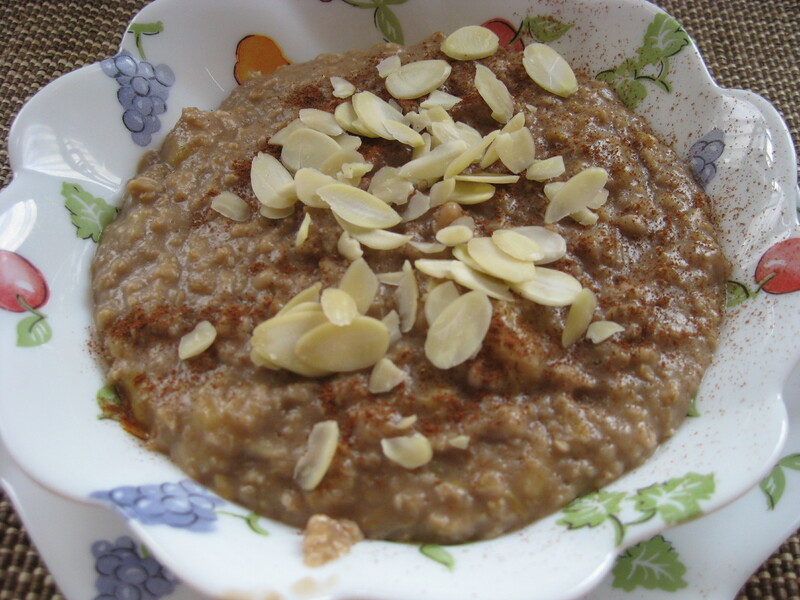 Rolled oats slow cooked in chocolate soy milk, with bananas and peanut butter topped with cinnamon and almond slivers. Hot. Filling. Delicious. Healthy. 8 AM — bike loading time. My bike was placed inside our car ( front wheel dismantled). 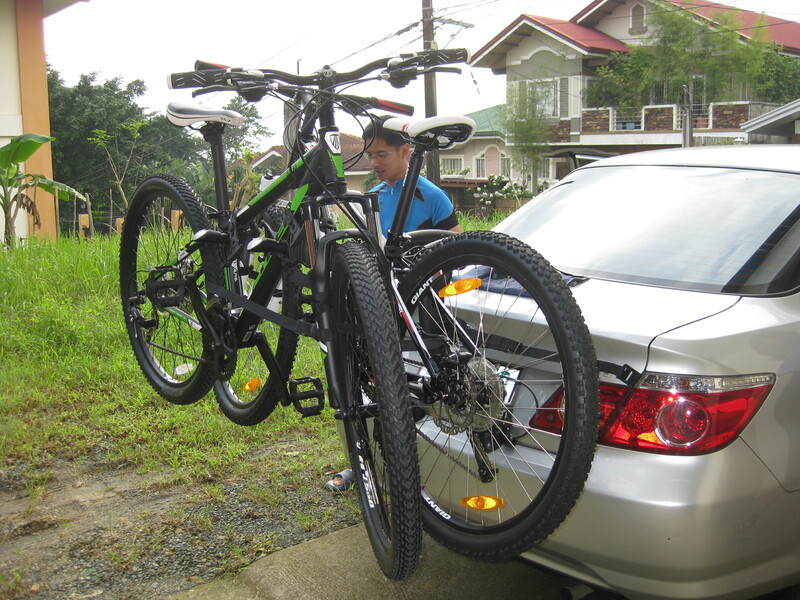 Hubby’s bike is loaded to his buddy’s car bike rack. Dar, my baby sister’s hubby. 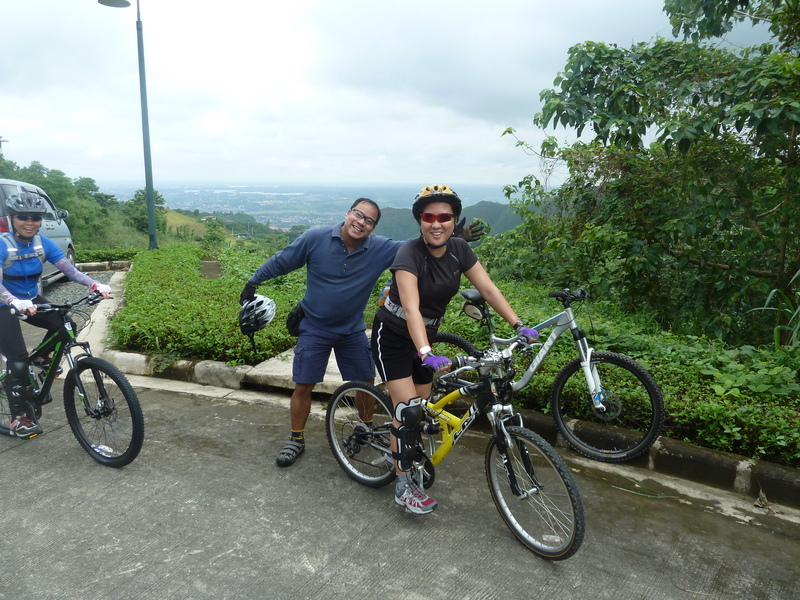 Since the two are avid bikers, they already have a bike rack. Note the very clean bikes. Off to Timberland Heights, San Mateo, Rizal. My baby sister Lis and Dar in their bikers’ outfit and gear. 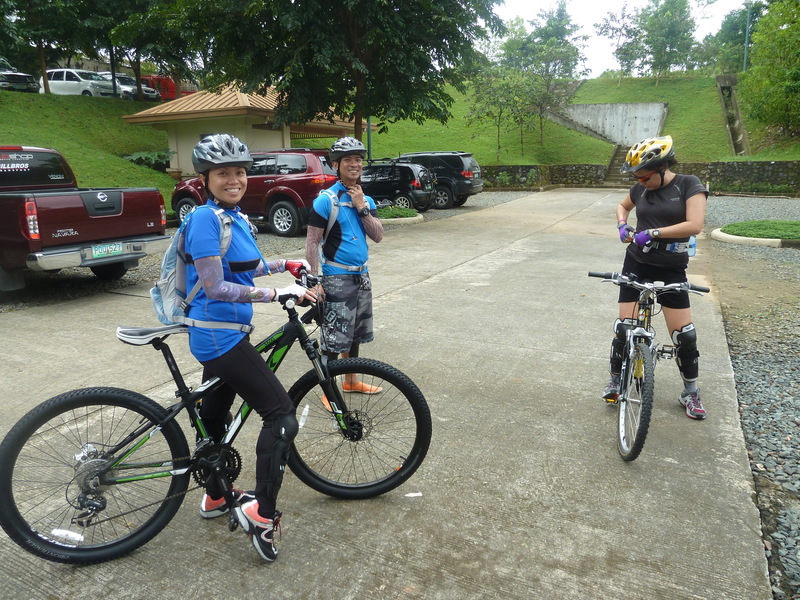 Mine is still a compromise: biker’s helmet, gloves and knee/shin guard; runner’s shirt, shorts, hydration belt, shoes. Biking buddy Kirk lightens my newbie’s tension with his clown tactics. Here we go! Look at the rocks on the foreground. Those are small compared to the ones ahead. Very difficult to navigate. 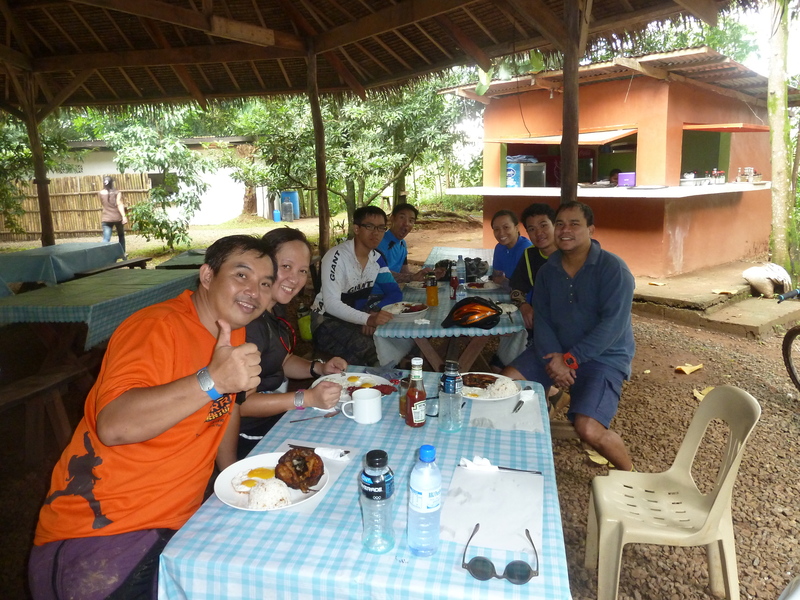 At a pit stop, we see some of our Bull Runner Marathon batchmates trail running. 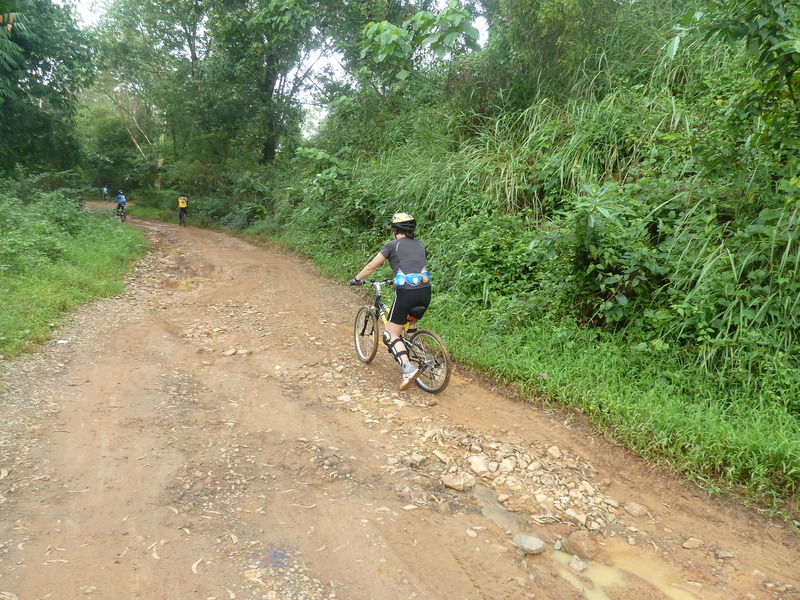 Slowly navigating through slippery puddles as wheels are stuck in the thick mud. Ahead are my kind buddies waiting for me. Most of them just charged through the puddle (above the ankle water level). After about two hours, we arrived at the Pestano’s House, an al-fresco restaurant in the middle of what felt like no-where. Famished! Hubby and I, who are supposed to be vegetarians, enjoy our meat-lover’s breakfast– eggs, fried milkfish and longganisa (native sausages), with extra rice! Hmmm, I have to plan for our midtrail meal next time. After the meal, there was another hour of biking back to where we started. Thankfully, we passed through an easier path. That’s okay. No broken bones. Look at how dirty everything is now. Would I do it again? YES! So that bike trail cannot say that it reduced me. That’s the way you want things huh? I’ll be ready for you next time. In fact, NEXT WEEK! Hi liam. Yeah , tension-filled fun, haha! Thanks for visiting and commenting. Don’t sweat the tension – once yo learn how to start picking your line you’ll get better. 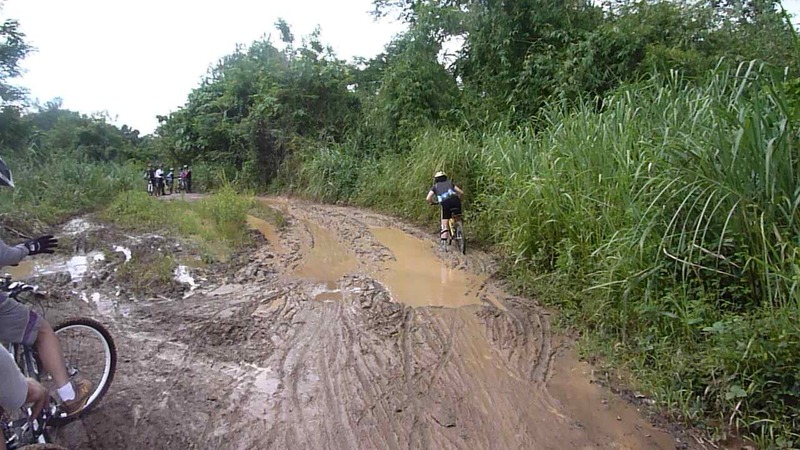 Mountain biking is all kinds of good. The trick is to stick with it until the nerves subside a little bit. Good luck.